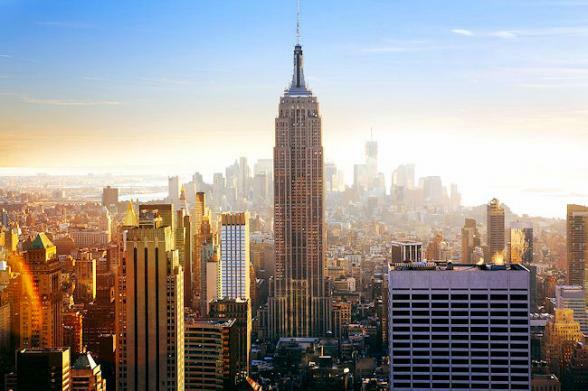 From the cosmopolitan city of Seattle in the Pacific Northwest, to the Big Apple on the east coast, this 14-day rail holiday showcases the best of the northern half of America. 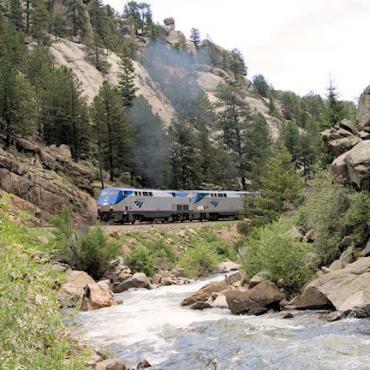 This epic rail adventure begins on the shores of Puget Sound where you'll travel in comfort on board Amtrak's Empire Builder to the Crown Jewel of the Continent, Glacier National Park, Montana. Spend four nights in the park humbled by Mother Nature's best work. 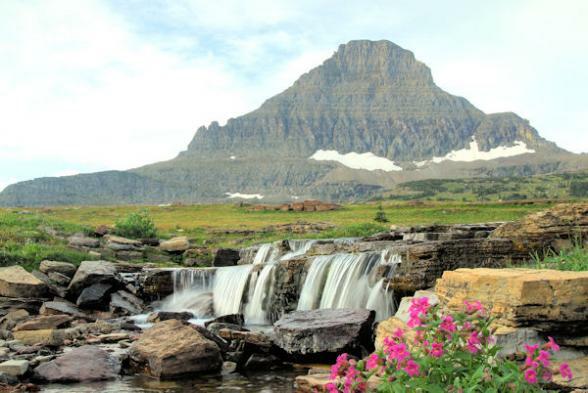 Home to more than one million acres, the glacier-carved terrain encompasses wild meadows, glistening rivers, stunning waterfalls, striking rock faces and dramatic mountain peaks. Your journey to Chicago takes you through the plains of North Dakota, Minnesota and Wisconsin before you arrive in the Windy City. You've two nights to explore this urban gem perched on the edge of Lake Michigan. View incredible architecture, stroll around world renowned museums, enjoy the performing arts, a spot of shopping and, of course, the famous Blues Clubs. En route to your final stay in New York, sit back and enjoy the views as your rail adventure takes you through Indiana, Ohio and New York State. 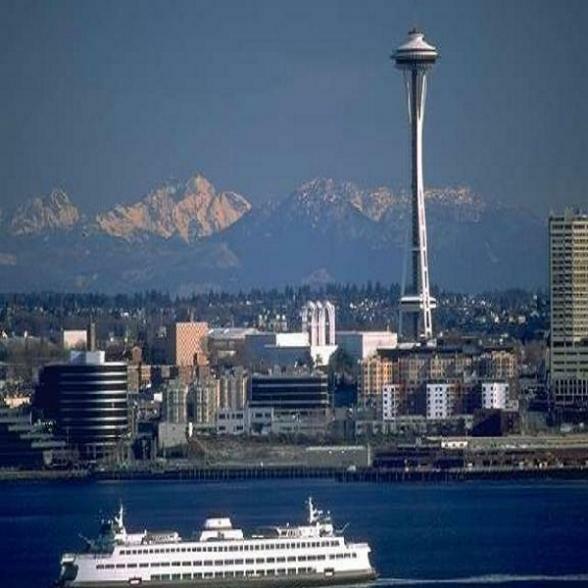 Upon arrival in the Emerald City, Seattle, make your way to the Warwick Hotel for your two night stay. A hop-on, hop-off bus city pass is included for your stay to get the lay of the land. When you're ready to stretch your legs, the Warwick hotel is within walking distance of the Seattle Center, the Space Needle, Pacific Science Center and the excellent Chihuly Glass exhibit and gardens. You'll also find the famous Pike Place Market, the Seattle waterfront and many restaurants right on your doorstep. It's a morning at leisure before you board Amtrak's Empire Builder at 4.40pm bound for Montana and Big Sky Country. For your added comfort, we've included bedroom style accommodation. This comfortable cabin consists of a large picture window with a sofa and a reclining easy chair. At night the sofa converts to a comfortable bed and an upper berth folds down from above. All meals are also included whilst you are on the train. 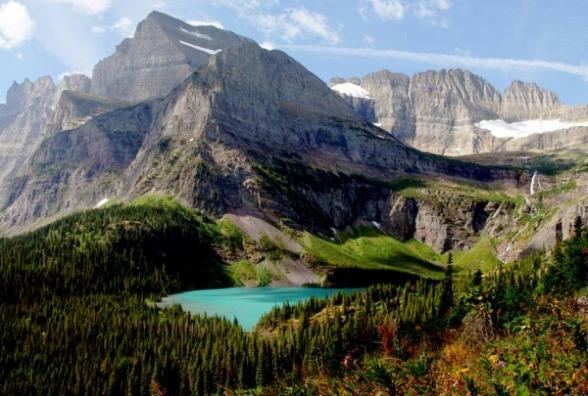 Meanwhile, outside the cabin, the rugged splendour of the American West is revealed as you travel through Washington State, the Cascade Mountains and spectacular Glacier National Park. Rise early and watch the towering snow-capped mountains and glacial valleys loom in the distance as the Empire Builder pulls into Glacier National Park around 10am. 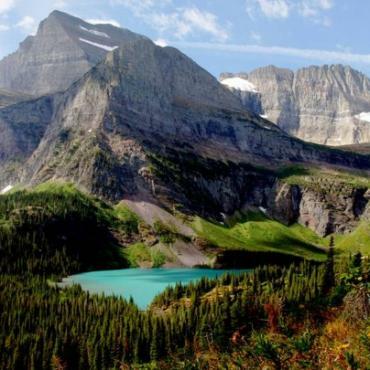 Known for its seemingly endless acres of rugged and breathtaking landscapes, Glacier National Park was established in 1910 and stands today as a monument to wild, natural places. Just as the landscape and wildlife are part of the heritage of Glacier National Park, so are the historic lodges and hotels. Your first and fourth night stays are just outside of the park, near the railway station, in the Glacier Park Lodge. Situated on the Blackfeet Reservation, this impressive lodge is made of huge timbers and boasts an outdoor swimming pool and 9-hole golf course. 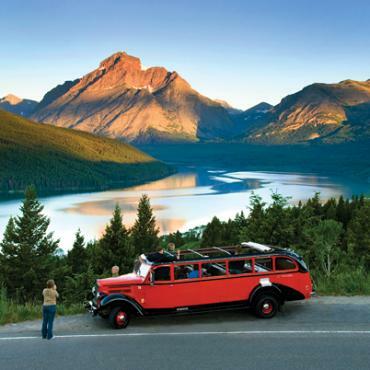 The following morning you'll be transferred for a two night stay inside the park at the Many Glacier Hotel, a rustic swiss chalet style property perched on the edge of Swiftcurrent Lake. The hotel boasts a large, wrap-around lakeside balcony offering 180 degree views of the lake and is surrounded by rugged hillsides, glaciers and peaks. You'll enjoy a cruise on Swiftcurrent Lake where you'll get up close to a glacier. 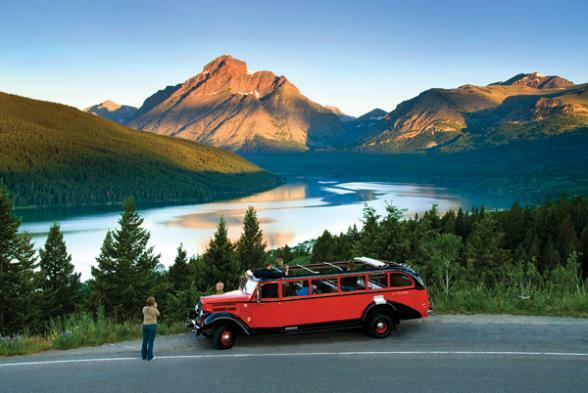 Then it's a tour by vintage bus along the scenic Going-to-the-Sun Road with stunning views from the park's highest point, Logan Pass. 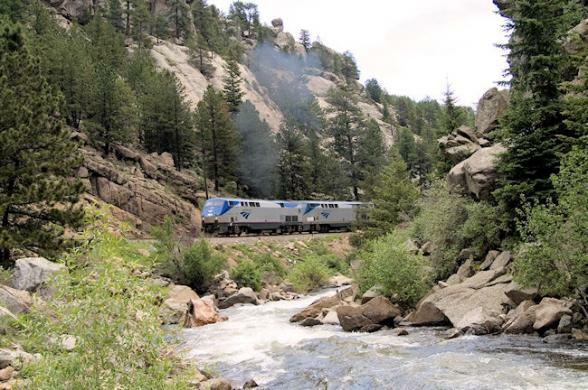 You'll depart Glacier National Park at 10am aboard Amtrak's Empire Builder for your overnight journey east through North Dakota, Minnesota and Wisconsin to Chicago. 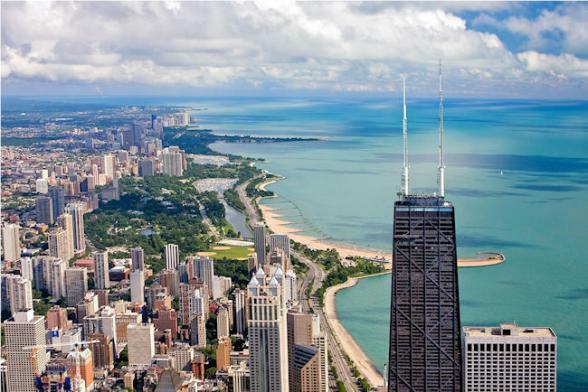 Located on the shores of Lake Michigan, you'll arrive in Chicago around 4pm. Check into the historic Palmer House Hilton hotel which has the distinction of being America's longest continually operating hotel. Walk in the footsteps of Judy Garland, Frank Sinatra and Ella Fitzgerald. 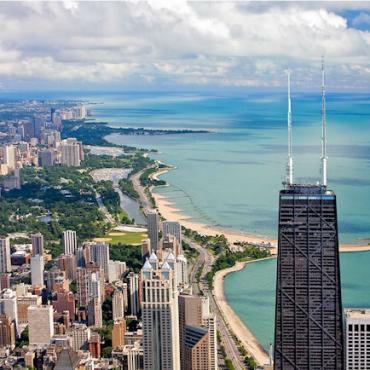 The next day, start with a Chicago hop-on/hop-off trolley tour of the city, which covers 13 miles and stops along the Magnificent Mile, Millenium Park, Navy Pier and the John Hancock Tower. Shop, try Chicago's signature deep dish pizza and enjoy your time in this favourite Bon Voyage city. You'll have a full day to explore Chicago today before you board Amtrak'sLake Shore Limitedovernight bound for New York City at 9.30pm. Chicago is the home of the skyscraper. 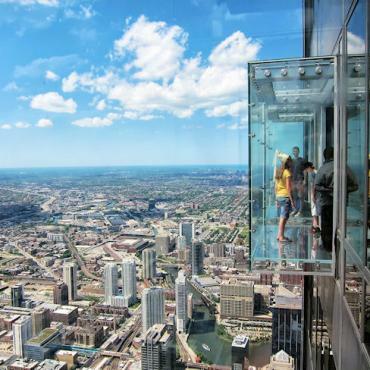 Consider a vist to The Skydeck at The Willis Tower. On a clear day you can see right across Lake Michigan to Indiana, Michigan and Wisconsin. 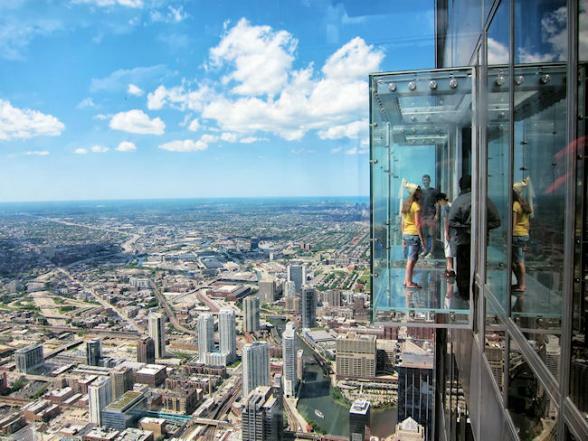 If you are brave enough, you can walk right on to The Ledge - a glass box that juts out 4 feet from the Skydeck. Alternatively, immerse yourself in the world of the likes of Al Capone or John Dillinger on a chilling Mob Tour through the back streets of Chicago and learn about life in the city in the 1920s and 1930s. Amtrak's Lake Shore Limited will breeze past historic points of interest and some of the nation's most beautiful shorelines on the final leg of your adventure through Indiana, Ohio and New York State before arriving in the Big Apple at 6.30pm. 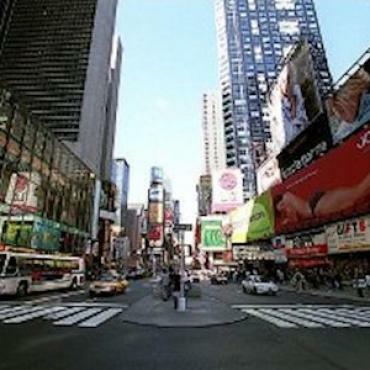 Check into the stylish Affinia Hotel before hitting the bright lights of Times Square. 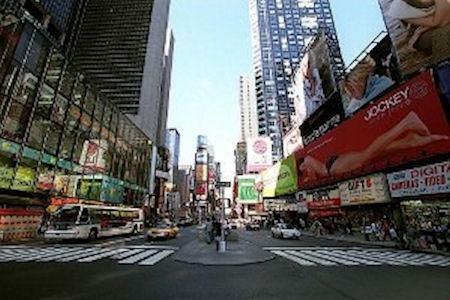 Spend the following day exploring Manhattan's most famous sights on board an All Loops Double-Decker Bus Tour. 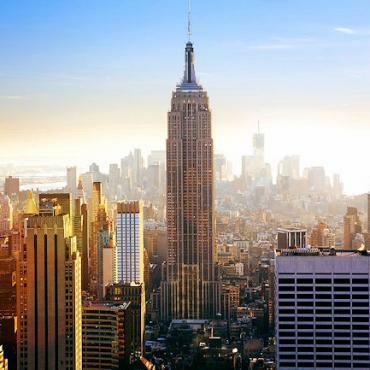 Highlights will include Central Park, Lincoln Centre, Radio City Music Hall, Fifth Avenue,the Empire State Building, Greenwich Village, Chinatown and Battery Park. In the evening, head for Broadway and enjoy a top show. 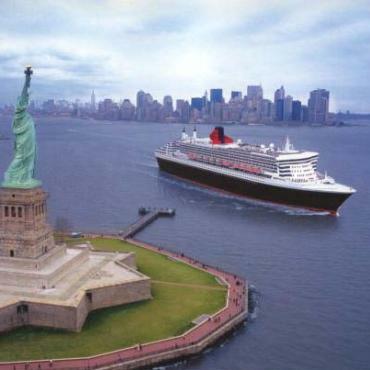 Bon Voyage can pre-book in advance for you and offer suggestions for pre/post theatre dining. 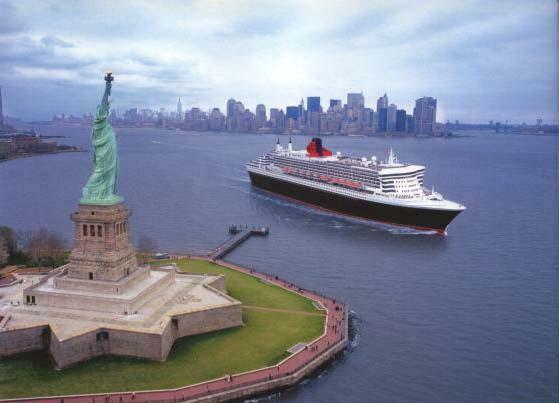 Today you depart New York for your flight back home. However, your journey doesn't have to end here. Perhaps you may want to extend your stay and include a few days in Boston or maybe explore Washington, DC. 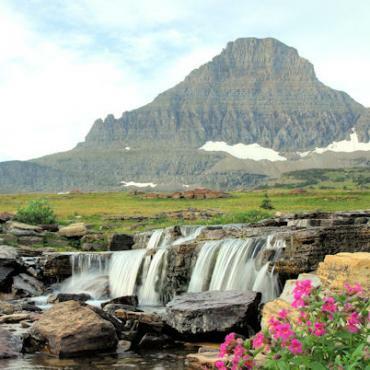 Call the USA travel specialist at Bon Voyage to discuss your perfect USA Coast-to-Coast with Glacier National Park adventure.